Is it so difficult to maintain a free RSS reader? A few months ago Google decided to retire its Google Reader (it stopped working on July 1st, 2013). As it was simple, effective and good-looking, a lot of people complained about this demise. A few days ago The Old Reader, one of the most successful replacement for Google Reader, also announced it will close its gates, only to keep early registered users. And today Feedly, another successful alternative, announced it is introducing a pro version at 5.00 USD per month. One of the reasons often evoked is the difficulty for these relatively small projects (before Google Reader demise) to handle the many users who migrated to their platform. Difficulties in terms of hardware resources but also human resources, finances, etc. So, to answer my own question, yes, it looks like it’s difficult to maintain a free RSS reader with an extensive number of users. And free software alternatives like Tiny Tiny RSS, pyAggr3g470r or Owncloud can be difficult for users to install (and especially maintain – same type of difficulties: necessity to have a host and technical capabilities, time, money (even if at a different scale), …). Two thoughts on this. Fist people are used to free products on the internet (count myself among them). And we take for granted that services on the web are and will remain free. RSS and its associated readers were a great inventions to keep track of information coming from various sources. However with the explosion of the number of these sources is RSS still a valid tool? One solution is to restrict ourselves to some, carefully selected sources of information. The other is to imitate statistics: summary statistics exist for raw data, datamining should become as easy to use for raw information (but I don’t think datamining is as easy as summary statistics). Which leads me to my second thought: aren’t this just signs of the end of RSS as we know it? People thought of it because of a giant web service provider removed its “support” for RSS. What if it is just the end of RSS because it is not adapted anymore to “modern” use? Let me try a comparison. E-mail is an older system than RSS. It is however still there. It serves another purpose: one-to-one or one-to-few communication. But since its origin e-mail clients tried to innovate by adding features, among which is automated classification of e-mail. Spam filters exist since a long time. Rules can be defined in most e-mail clients. GMail (again from Google) is now classifying your own e-mail with “Priority”, “Social” etc. These tools help us to de-clutter our Inbox and keep only relevant e-mails in front of us when we need them. I think RSS would benefit from similar de-clutter/summarizing tools. We just need to find / invent them. 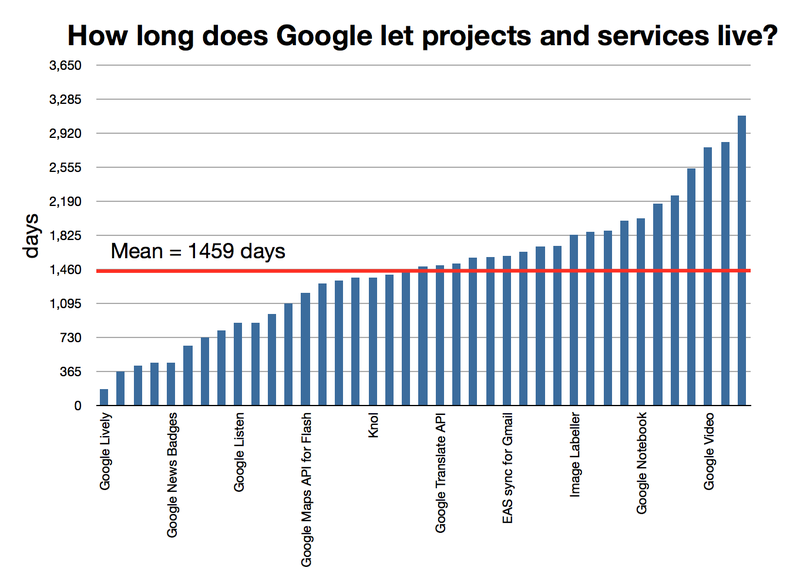 Any free solution for the demise of Google Reader? It’s backed by an API so you can use it via different apps on different platforms and they all stay synchronised (the web/mobile version of Reader is not as efficient as the web/desktop version; hence the proliferation of apps using Reader as a backbone). An interesting solution could be an Evernote RSS reader. Evernote has already a portfolio of application ranging from a note-taking software, screenshots, drawing, food, … They have a synchronisation process in place. Why not a RSS reader then? But what can be done for free (as in free speech)? One of the solution is Owncloud (AGPL) and they recently released a RSS reader add-on. Another solution could be pyAggr3g470r, a news aggregator written in Python. And I was wondering why there isn’t just a simple API that would allow any kind of application to connect, update and display RSS feed. Something like the NewsCredNews API but free, simpler to use than Owncloud and with apps/website interface for mobile devices. And a poney with that, please. Just a little post to write how I hate those “Read More” sentences in blog post! Grrr, again a disguised "Read More"! This post has a very low information content as presented. “Read More” is a way to cut your blog post in two: one part that will be shown in your blog RSS flux, on your front page and another part that will only be read by those who click on the “Read More”. A variant of this is the […] (as shown above). Most of the time, I read blogs I subscribed to via a RSS reader (or news aggregator). I read blog posts when I have time. A central place like the RSS reader is like a personalized newspaper. I usually read blog posts grouped by the interest I have at the moment I read them. An organized place like the RSS reader is like a personalized newspaper, just on a certain topic, just when you need it. Now, if there are “Read More” after 2 or 3 lines of text, I usually don’t know anything about the quality of the remaining article. Either I click, I launch my web browser (wait, wait, wait …) and finally read the remaining part of the article. It’s very rare I do that. Usually, I just go to the next article. Most of the time, the next article is by someone else, on another blog (items being classed by interest topic and time in my reader). After a few disappointments of finding a “Read More”, I just cancel my subscription to the RSS feed. Unless information given there is very, very interesting. I know that “Read More” directs more traffic to your website. I know getting more traffic makes you earn money (if you serve ads), can potentially make you earn money (if you sell something) or simply gives you more details about your audience. I know that “Read More” allows to “shorten” long blog post so your front page is not 10-pages long. But in the end, the goal is to be read. If you write well, have a good product and/or don’t annoy people with unnecessary “clicks”, people will anyway come to your website and potentially buy your stuff. Imho, simplifying readers’ lives by giving them all the information they want in the format they want regardless of the channel (RSS, e-mail alert and website) is more important than any other reason. Don’t force page views, it’s annoying! A few days ago, I released the first version of catrss, a tool used to concatenate RSS file(s) to standard output. Today, I added OPML output to this tool. Here it is in version 0.2 (.tar.gz file, 16ko). OPML is a file format first used in a commercial application. Now it’s widely used for the exchange of links between news aggregators. Because of that, I had to implement it in catrss: it’s a potential format for the output of catrss. But I’m not happy with this format. It’s nice, it does its job, it’s already available, … ok. Other people already complained about this format (see here e.g.). Beside the fact it’s not standardized (it’s difficult to exactly know what software will correctly parse what you put in your outline tags), I dislike the fact that the official specifications include tags that describe what I consider as the look, feel and behaviour of the content (expansionState, vertScrollState and the window*) and not the content itself. Of course, I’ve read that they are optional. Nevertheless, I don’t think it’s a good design decision to handle things like this and mix look/behaviour and content (not in this case). I’m sorry for people not in computer science but this is — again — another entry about programming and I understand the title and content are a bit strange for them. One day, one has to sit at his/her table and try to really understand how to deal with XML. Since I think I can only learn with a project in mind, I took Alexandre Dulaunoy’s mergerss suggestion and tried to develop my own catrss. If you want to see all the parameters you can set, just type “./catrss –help”. You’ll probably prefer to set your own title, link and description parameters since they are the only mandatory elements. One important point to keep in mind is that, by default, catrss only take the 10 most recent items (blog entries, e.g.) from all the files. You can change this value with the “-n” option. For the moment, catrss is only available here (.tar.gz file, 16ko). The file contains the catrss program, its source code and two example of RSS files. Code is licensed under the GNU GPL. You need only Python 2.5 in order to run catrss (it’s probably already installed on any GNU/Linux computer). Currently, it only works with RSS 2.0 files and it’s very picky with dates (for example, it’s not working with this blog RSS stream — what a shame!). But all this could be improved for version 0.2. Suggestions, bug reports and patches are welcome. Of course, it’s when you are struggling to feed XML into your program that you realize other people already developed what you are just doing: I’ve found at least 5 RSS parsers/generators [1, 2, 3, 4, 5] and 3 tutorials [1, 2, 3]. But I’m proud to say I didn’t used any of these references for catrss.